Welcome to the Defense Industry Adjustment Program’s Business Consulting Page! Here you can find everything you need to contract with the Government. Check back often for news, tips, and advice. The Pacific Northwest Defense Coalition invites you to attend their next networking event in conjunction with the Alliance Northwest Conference on March 4th at the Puyallup Events Center in Puyallup, WA. This is a great opportunity for you to come network during the largest business-to-government conference in the Pacific Northwest. 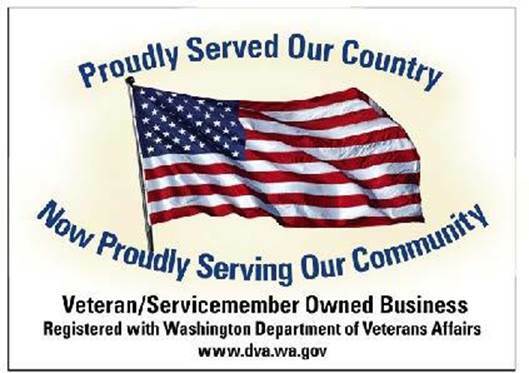 Veteran Owned Businesses – Get Certified on the Washington State Department of Veteran’s Affairs Business Registry. It’s free. It’s quick. It’s easy. And you as the business owner control the level of contact and communications with State agencies. This outstanding symposium brings together the government and industry experts who are paving the way for the next-generation of defense energy capabilities. They will examine current and future DoD and Service energy strategies and roadmaps, status and forecast for major energy initiatives, and how to develop, finance and manage defense-industry energy partnerships. For more information please call (310) 320-8110 or email hoodk@ttcus.com. You can also visit the event website at http://www.energyfordefense.com/. This program will be held by BIS from 12pm to 1:30pm (PST). Under Secretary of Commerce for Industry and Security Eric L. Hirschhorn will join us to discuss President Obama’s Export Control Reform (ECR) initiative, an Administration priority aimed at enhancing our national and economic security. Under Secretary Hirschhorn will also address recent export control policy changes for several countries, including the regulatory changes that implement the President’s policy to provide U.S. support for the Cuban people, and changes that further implement the bilateral understanding between the United States and India by removing the license requirements for certain items controlled for crime control and regional stability reasons.